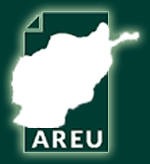 This paper places AREU’s legacies of conflict research into the context of ongoing peace efforts. It shows that Afghans are generally both pragmatic and principled in search of peace. During interviews, they maintained a keen sense of justice but usually showed a willingness to make compromises in the interests of national stability and cohesion. However, differing attitudes to the insurgency show that local flexibility will be required for a durable settlement. 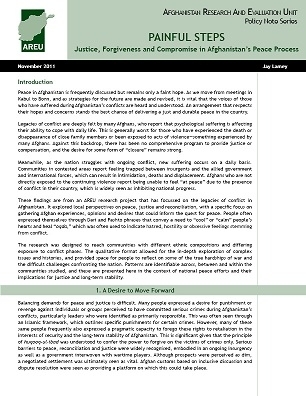 As negotiations continue regarding the future US presence in Afghanistan, the research found that many people from a variety of urban and rural communities distrust foreign motives and want any peace process to be genuinely Afghan. A stronger and more trustworthy state was seen as central to this, but many had deep concerns about the capacity of the current government to achieve a lasting peace. While efforts continue toward transition, some simple measures could provide a degree of comfort to the victims of Afghanistan’s conflicts. Government recognition of people’s suffering through the official Victims’ Day would be one such way. Overall, the principles of justice and recognition were considered more important than the processes used to seek them.